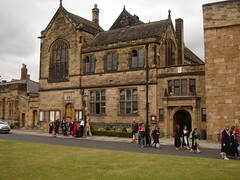 Main Library - contains the majority of the printed collections except for Education, Law and Music. It also contains three major documentation collections: The Middle East Documentation Unit, the British Official Publications collection and the European Documentation Centre. Queens Campus Library, Stockton - holds materials related to all the subjects taught at Queen's campus: Applied Psychology, Biomedical Science, Business and Business Finance, Education, Foundation programme, Health and Human Science, Information Technology and Medicine. How do I find primary source material held at this institution? Visit the University of Durham's contributor page at the Archives Hub for information.